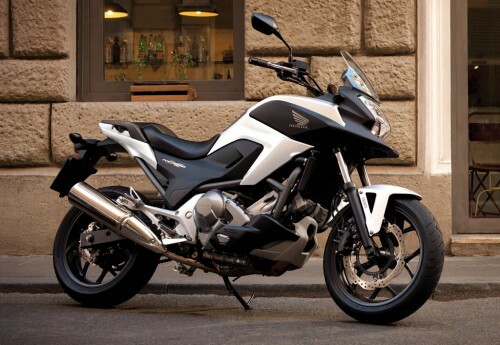 Alongside the Honda NC700S at EICMA comes the NC700X, a “crossover” model with better off-road capability. 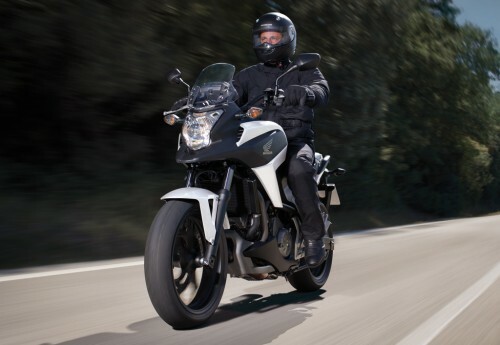 Like the NC700S, the 2012 Honda NC700X is powered by Honda’s new 670cc parallel Twin engine. 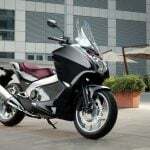 Honda designed the engine to be highly efficient, with optimal performance at speeds up to 87 mph and the engine revving up to 6000 rpm, a range Honda’s research found accounts for 90% of an average commuter’s uses. 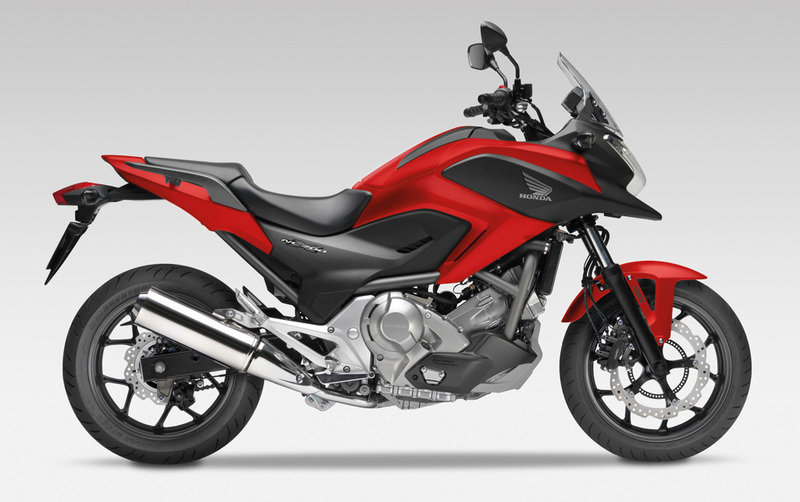 The NC700X’s engine has been tuned to offer more power and torque than the NC700S, with Honda claiming 51 hp at 6250 rpm 45.7 ft-lb. 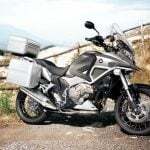 at 4750 rpm (compared to the NC700S’ 46.9 hp at 6250 rpm and 44.3 ft-lb. 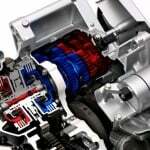 at 4750 rpm figures. 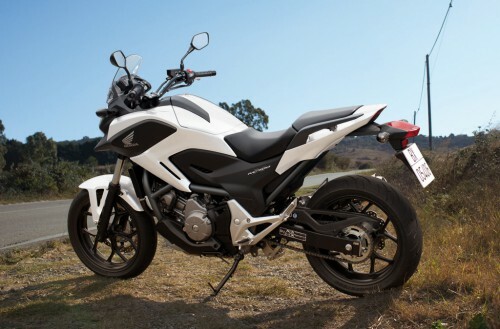 Like the NC700S, Honda claims the NC700X gets 63.5 mpg, enough for a range of 235 miles. 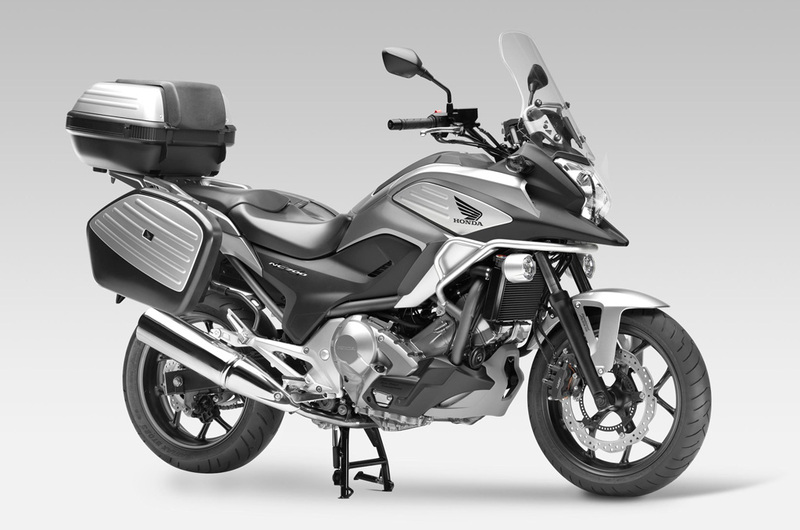 Like the NC700S, the Honda NC700X will be available with or without a dual clutch transmission system and combined ABS. The NC700X shares the same frame as the NC700S and also offers underseat storage. 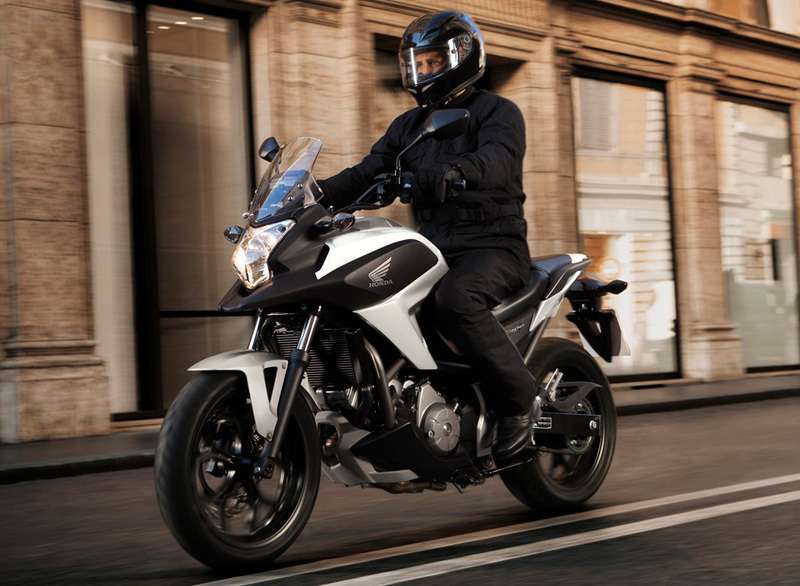 The NC700X has a higher stance however with the seat 32.7 inches from the ground compared to the NC700S’ 31.1 inches. 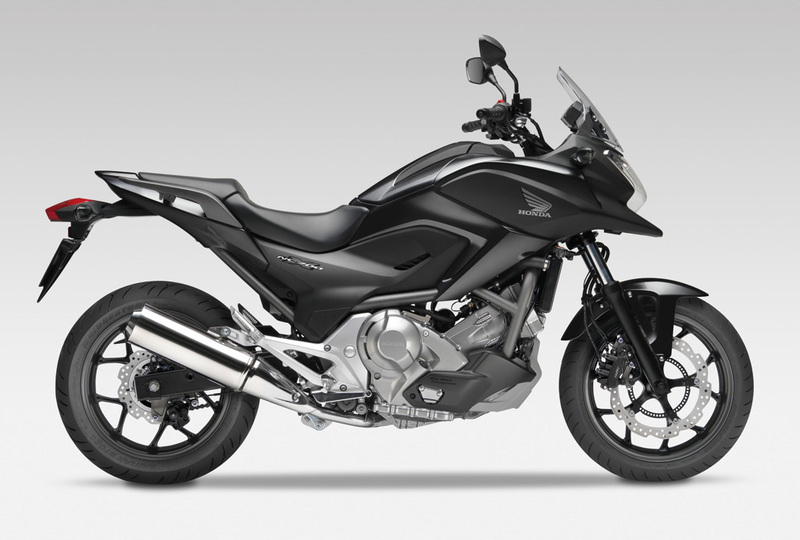 The NC700X’s suspension offers 153.5mm of travel to the front fork and 150mm at the rear, compared to the NC700S has 120mm of travel at both ends. 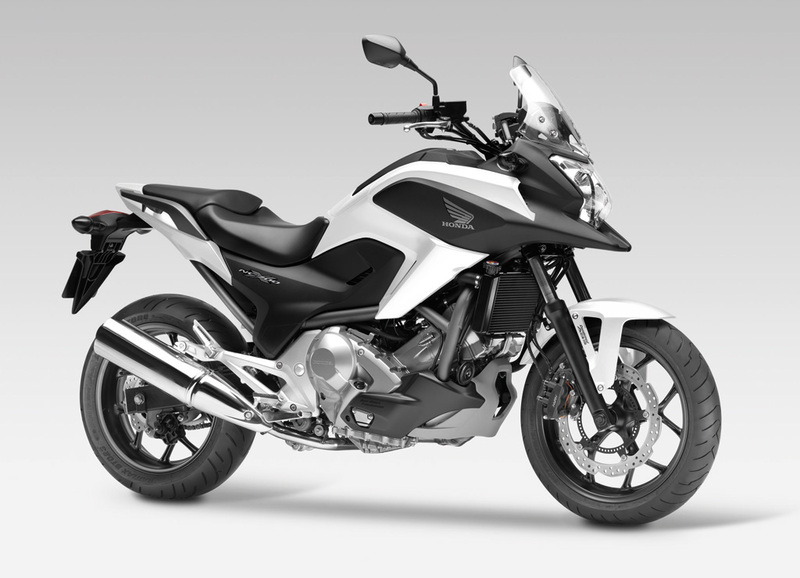 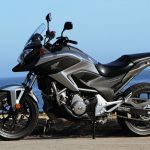 The 2012 Honda NC700X will be offered in four colors: Darkness Black Metallic, Digital Silver Metallic, Pearl Sunbeam White and Magna Red. Click here for more news from EICMA 2011.